I would like to ask everyone to take 1 hour and 40 minutes out of their busy daily routine and watch this video. Heather sent me this link about 6 days ago and told me to watch it- and kept reminding me…. Last night I finally had a chance to sit and watch. …. I was blown away from beginning to end. Ralph Ring worked with Otis Carr, who was Tesla’s protege and who worked with Tesla on several incredible projects. Including levitating. 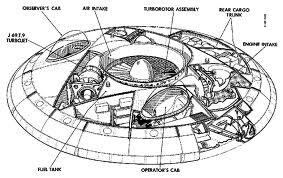 Ring outlines his own personal history working from the 1950’s on projects BUILDING “flying saucers”. He talks about his 40 years of being run out of town, shut down continuously by various government agencies, his death experience that taught him to not fear, and the movement forward from that moment to bring this technology out to the public. For myself, far more important than his discussion of building “flying saucers”- working on the principals of Tesla’s Magnetics- levitating and cross dimensional travel through perceived “time” and “space”, is the deeper conversation in which Ring discusses the consciousness that works from within to work WITH this “machine”. While watching this video I experienced several moments of intense deja Vu. Moments of Clarity that were stunning in their expanse. At around the 7 minute mark of the video Ring discusses “Zero Point”- where when you come to that “place” in consciousness, you can go anywhere/when- from the Zero Point you are open to all things. From 6-12 minutes he discusses the very first “test flight” he took. This change of consciousness in the mind vs the brain- and I would also say, in the HEART, in the seat of consciousness- is the change of perception/consciousness that so many are experiencing right now. The second most important message in this video, in my opinion, is that this “flying saucer” is just a bridge. WE can DO this all by our selves! WE ARE doing this all by ourselves already- ALL READY! Had any strange dreams lately? The kind that feel so real that waking up is surreal? Have you been there before? Have you seen that place before? That person before? Have you done that before? Think it’s just a dream? There are many who are working IN that “DREAM”. Traveling to those places and DOing- consciously and unconsciously. Meeting others who are also working, who are SEEing, and FEELing, and HEARing the same events/times/happenings. …. …. when multiple people all EXPERIENCE the same thing, is it not REAL? I have another set of videos I want to post… and will as soon as I can finish watching them myself, lol. Hopefully later on tonight or tomorrow. Transparency is Flowing at light speed- at HEART speed! More and more articles and information are swinging into focus- we ask “What do we know?” and then the answers are presented so very nicely, right in front of us. Yesterday was one of those days for me, when suddenly a whole new level of kNOWing laid itself in front of me, with a side of Deja vu slap in the head, just to make sure I got the point, lol!